Each fall, the Haine PTO offers an inexpensive way to show school and classroom spirit! 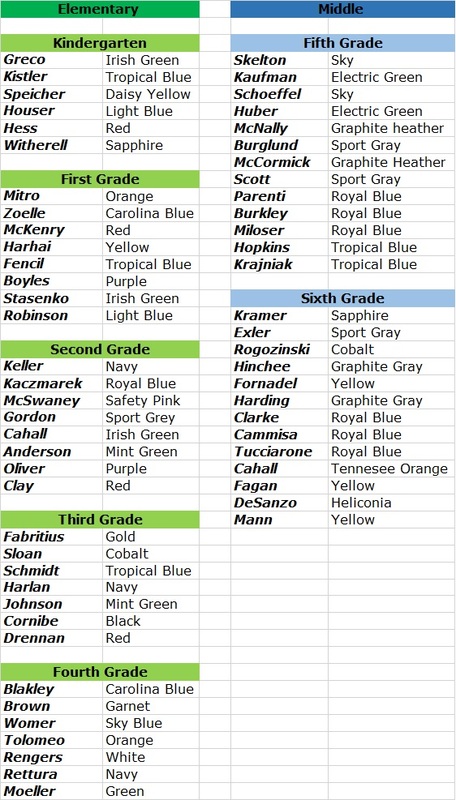 Each classroom at Haine Elementary and Haine Middle have their own color tee shirt, making it easy to identify classes on field trips, field day, and at other school events! This year, you’ll be able to order and pay for your class tee shirt online through the AtoZConnect PTO management system! Click on the button, login or register and walk through the steps to order! Questions? Email hainetee@hainepto.org!